-Democrats bent to the will of the president on several key demands, most notably in agreeing that the emergency funding would be drawn from an existing loan program aimed at promoting fuel-efficient technologies. -The Democratic proposal makes no provisions to replenish the loan fund, as Pelosi had hoped. -Democrats flirted with the idea of naming a seven-member board to oversee the auto bailout but decided instead to have the president name an individual, as Bush had suggested. Step 1: Bush Makes demands. Step 2: Pelosi and Reid give forceful reply with their own set of demands. Step 3: Bush restates original demands. Step 4: Pelosi and Reid cave to major Bush demands while winning concessions on minor issues. Step 5: Pelosi and Reid hold press conference trumpeting the bill as a success. Same as the Iraq war debate, and just about all other "negotiations" between the president and congress this past couple of years, most shamefully during the last two when they've had real power. Thankfully, the election of Barack Obama severely limits the damage her "negotiations" can do in the future. Obviously there had to be a give and take on the auto bailout with Bush still in charge, but allowing him to appoint the overseer of the loans seems a bit much. 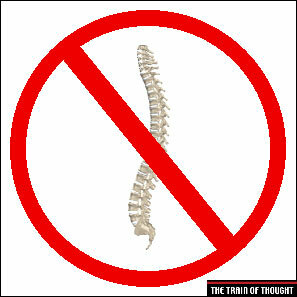 Hopefully January 20th marks the end of the no spine caucus.